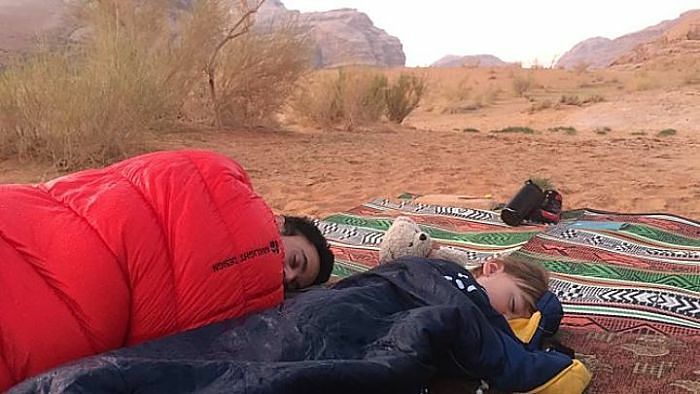 Join us and experience camping in Wadi Rum Desert and sleep under the stars! At night, when the desert is at its most silent and the stars become a glowing blanket in the clear sky, when the gentle desert breeze blows free of any pollution, you will feel something unique. This is the moment when you will understand the real meaning of the desert for the Bedouin people and why they resist the hardships of such complex landscape to continue living in this magical place. 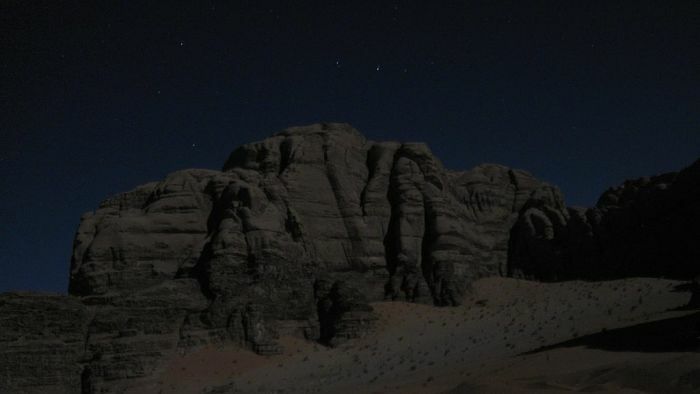 Sleep Under the Stars Tours will give you a realistic experience full of insights about the Bedouin life. 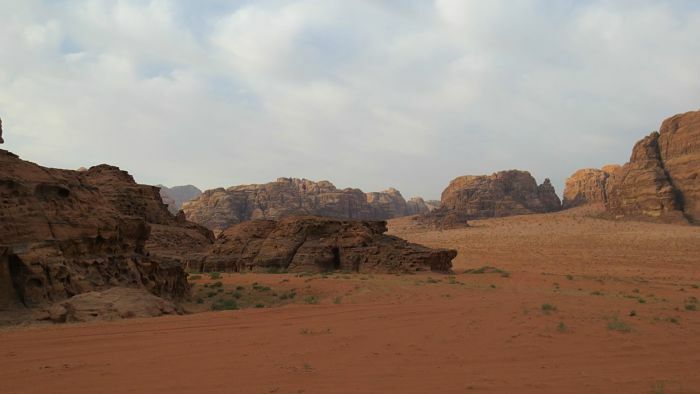 During the day, we will show you spectacular views and the major sites in the Wadi Rum desert. Before sunset, while we still have daylight, we will look for the appropriate place to set up camp and spend our night under the stars. 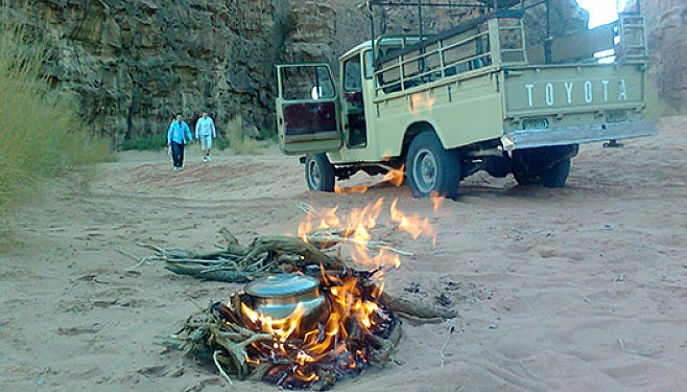 Setting the fire is a crucial factor, because we will then proceed to prepare the food and make Bedouin tea. 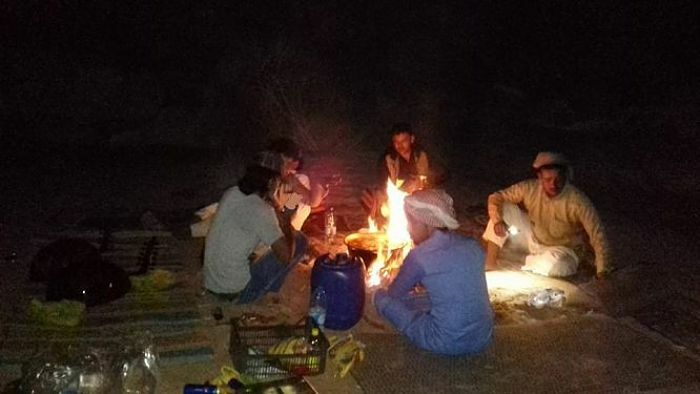 After dinner, we will sit around the fire to exchange a good conversation, tell you about the Bedouin culture, customs, traditions and all about the desert. You are most welcome in our home. All tours include cooked meals, water, tea, English-speaking guides, jeep and sleeping equipment. Torch, camera, warm clothing in winter, sleeping bag, sunscreen and a good hat. Since summer months receive more daylight hours, we are still able to visit all the attractions listed in your tour, to begin your jeep tour, we’ll pick you up upon your arrival at the Wadi Rum Village and take you to our house, where we’ll discuss your route over tea. For inquiries, exact pricing or any more information, please use our contact form to get in touch. Please include the tour name and the number of intended guests. If you have a full day and a night in Wadi Rum, this tour packs the most sightseeing and exploring into your time. taking you deep into the park. Highlights include Lawrence’s Spring, Khazali Canyon, the Nabatean Map, sand dunes, Anfishiyeh Inscriptions, Lawrence’s House, the Mushroom Stone, Burdah Rock Bridge, Umm Fruth Arch, a 40min walk through Abu Khashaba Canyon and an hour walk through the stunning Barra Canyon, one of our absolute favorite spots. To end our tour, we’ll find the appropriate place to spend the night. 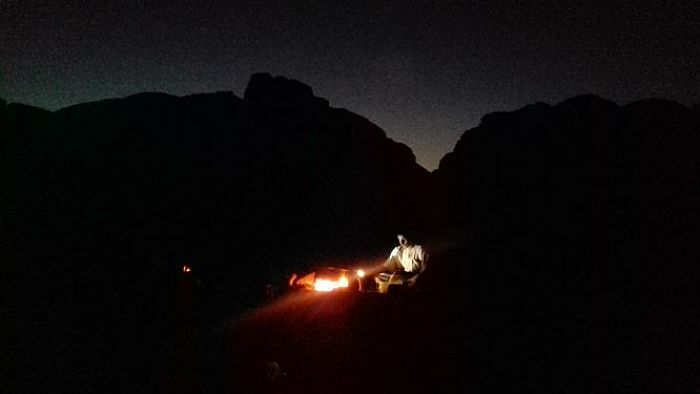 You’ll have time to relax and explore the area on foot and enjoy the sunset view before we set the fire to prepare food and make tea, then enjoy bedouin night around the fire. All sleeping gear is provided. Following breakfast the next morning, you’ll return to Rum Village by jeep (20min) OR mounted on a ship of the desert (2hrs; 25JD extra per camel). 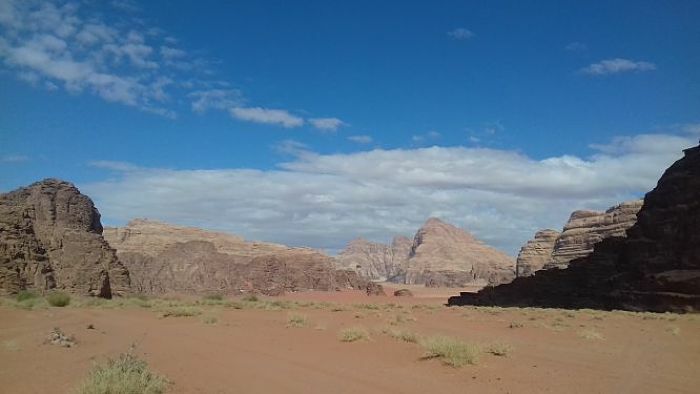 With two days in Wadi Rum, you’ll have plenty of time to visit the most spectacular sites as well as do a good share of exploring the narrow canyons on foot. 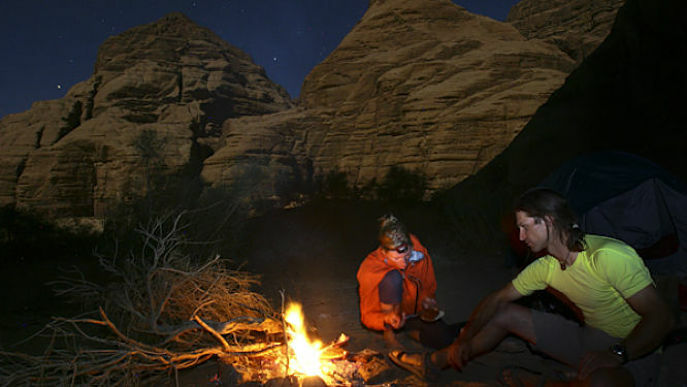 We will visit Lawrence’s Spring, the Nabatean Map, the sand dunes, Anfishiyeh Inscriptions, Umm Ishrin Canyon, a hike through Barra Canyon and the Mushroom Stone before we find the appropriate place to spend the night you’ll have time to relax and explore the area on foot and enjoy the sunset view before we set the fire to prepare food and make tea, then enjoy bedouin night around the fire. All sleeping gear is provided. This route is almost identical to the 2-day/1-night tour, but gives you a second night in the desert. You may choose to spend your second night in a different place or in a cave. Following breakfast on the third morning, you will return to Wadi Rum Village by jeep (20min) OR mounted on a ship of the desert (2hrs; 25JD extra per camel). 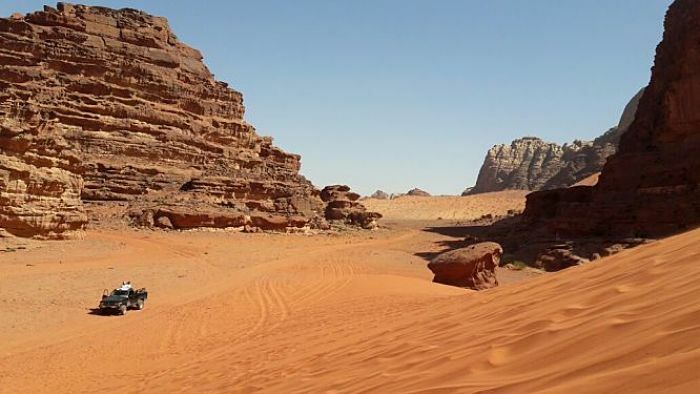 With three days in Wadi Rum you’ll have the chance to go deeper into the desert and see much more of its hidden attractions in addition to all the places listed in the shorter tours. Additional places that you can visit include the Bedouin cisterns far to the south, Al-Qatar Spring and the picturesque Umm al-Samn Arches. You also have the choice to add some camel-riding or a longer hike, such as the climbs to Burdah or Umm Adami to your tour at no additional cost. This tour is sure to get your clothes a bit dusty, but don’t worry: you’ll use our shower in the village when you return on the final evening. On this tour you can spend the nights in the wild in different settings. Even more than on the 3-day tour, you’ll have the freedom to add good amounts of time on camels, hiking and climbing to Burdah and/or Umm Adami. 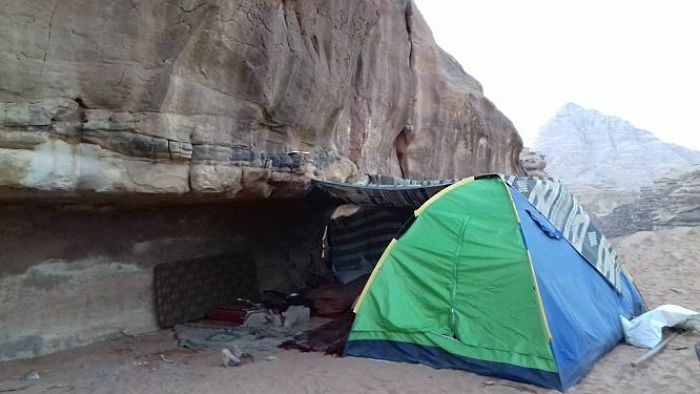 For example, you can take two full days to explore by jeep, combined with the 3hr climb to Burdah Rock Bridge, spend a third day in the far south including the 3-4hr climb of Umm Adami and spend a fourth day experiencing some of Wadi Rum’s remote narrow canyons by camel. 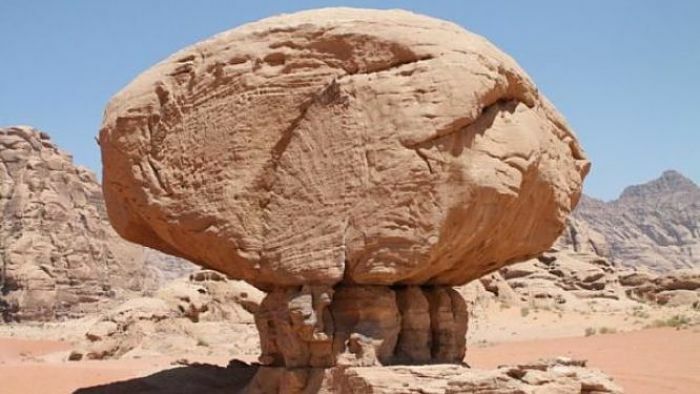 This tour allows you to discover more of Wadi Rum then any of our other tours. As outlines in the 4-day tour, our 5-day tour is highly customizable according to your tastes and desires. 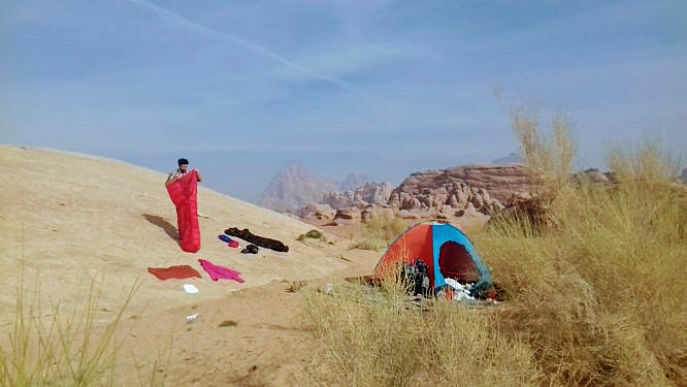 In addition to visiting almost all of our favorite spots in Wadi Rum, including remote sites like Wadi Sabet, Umm Adami, Al-Hudhn, Nughara Canyon and several secret, yet-unnamed places, you’ll have four nights in the desert, which spent in the wild and cave . We’ll also share tea with some of our truly Bedouin relatives living in the desert. 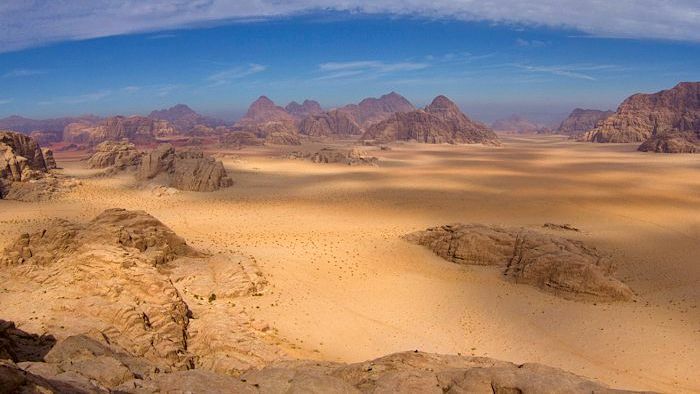 You may also choose to spend large chunks of your time hiking to the summit of Umm Adami, Jordan’s highest point, and Burdah Rock Bridge, or traveling like the Bedouin, mounted on camels.